So we are approaching the halfway mark of January and with us being in the second week of the year, I had a deep realization driving home to Joshua Tree the other day about New Year’s Resolutions. I’ve been passionate about psychology since I was in High School. Years of overcoming depression and mental health issues after being struck by lightning, I’ve been able to understand the breadcrumbs from my past and how they are showing me the clues to my future and how I’m here to serve. Business Insider recently shared that about 80% of people fail their New Year’s Resolutions by February. 80 PERCENT! That’s NUTS! Because I’m someone who loves to come up with solutions, I wanted to dive in and understand why is this so. What better way to understand than by allowing myself to get radically honest with myself as to why I’ve failed my resolutions in the past. I’m a firm believer that the inner creates the outer and that each of us are all part of this Golden Web. The way we show up in our lives trickles into hue-manity. There is no separation where I begin and you begin. It’s our egos that separate us. Since becoming a Kundalini Yoga teacher 5 years ago and diving into the world of Modern Mysticism, it’s been evident to me about the importance of understanding the truth that we are spiritual beings having a hue-man experience and that there is something to be said about the power and influence the stars and planets have on our lives. From my own reflection and understanding, I’ve been able to understand that I have an opportunity to work with the cosmos to uplevel my business and life since I’m in this symbiotic relationship with them. We are made from the same elements as the stars and the moon and as you begin to do the deep inner work and unravel the layers of you that’ve been conditioned as your reality by media and society, you’ll begin to unleash the truth of who you are. 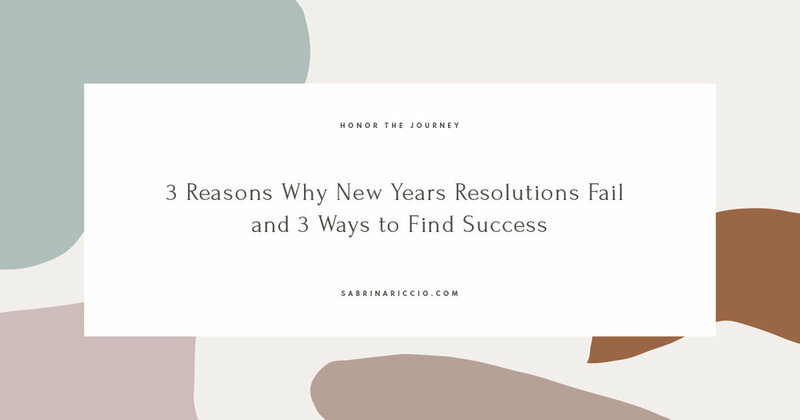 Here are some tips and truths about understanding the energy of the new year and how you can work with it because instead of being a victim to the New Years Resolution pressures, you choose to be victorious. The Gregorian Calendar shares that the New Year begins on 1/1 when the Chinese New Year begins on the Lunar New Year in February. Before the Gregorian Calendar was adopted, the English new year began on March 25. This day was known as Lady Day which honored the Virgin Mary until 1752 in Britain. The Gregorian Calendar was setup by the patriarchal system of the Catholic church to replace the Julian Calendar which was began in 45 BC. As you may or may not know, Easter is the first Sunday after the Spring Equinox, when the sun begins to shine brighter. Since the West has ruled power over the world for centuries, there’s another calendar out there that many mystics and students of the Eastern Medicines and traditions follow, the Chinese New Year. The first day of the Chinese New Year begins on the first day of the New Moon between January 21st and February 20. Each year is ruled by a different animal like we honor in astrology. In 2019, we’re experiencing the year of the Pig. You are seeing more and more mystics and healing arts practitioners honoring the Chinese New Year vs 1/1 because we understand the power and the influence of the lunar cycle. I have a whole chapter dedicated to la luna and astrology in my signature program, THRIVE, dedicate to those who are ready to unleash their medicine with the world. 2. We are still cutting through residue and remnants of last year. Change doesn’t happen overnight. It takes devotion and commitment to anchor in what it is you desire. Things can be lingering as you come off the high or lows of the holidays. Many people have family issues that affect them after the holidays. They may see family members struggling and it takes a toll on them. There can also be pieces of the year before that are transmuting and in the process of transformation. I mean, there’s no accident why people get sick towards the end of the year or the beginning of the new. They are again, making room for what’s to come. Allow yourself to be gentle. Winter is a time of cultivating and preserving energy for the year ahead, so don’t be so hard on yourself. Rather, choose to come up with a plan that feels supportive from the lessons you learned from the year before. Eclipses are powerful portals for transformations. Often times, we are asked to dive in deep to heal and transmute what doesn’t serve in order to make room for what’s to come. These eclipses affect everyone differently. They are cosmic blessings to implement change and come between every full and new moon as a pair for a Lunar (full moon) and Solar (new moon) eclipse. A Lunar eclipse occurs when the sun, Earth and the moon are essentially in alignment. Because of this straight line, Earth creates a shadow in which the moon passes through in the umbra. Since the moon stands between the sun and the moon, the moon has no light of her own and reflects the light of the sun with the illusion of the sun disappearing. A Solar eclipse, on the other hand, occurs when the moon stands between the sun and Earth, cutting off the light of the sun. Because of this, the energy of the moon and the sun is extremely potent. There is a momentum here to keep going because these eclipses are indicators of massive life changes about to be experienced. We can find ourselves wanting to give up when the going gets tough, but it’s always important to remember why you even started. Like any cycle, you must be able to plant seeds in fertile soil if you want to to grow abundant crops. During the New Moon, the sun and moon are both in the same sign. There is a balance of the lunar and solar energy as the earth finds itself in alignment with the sun and moon. There is a freshness in the air during this fertile time. The stars shine brightest in the darkest of nights and seeds grow in dark until the roots and stems are strong enough to break through the dirt and towards the light. The New Moon is the perfect time to set your manifestations as it’s a great time to go within and set the foundation for what it is you’d like to actualize over the next six months. With the New Year in particular, we find the first New Moon in the sign of Capricorn, the sign of Earth and taking action. Here, you begin to set the foundation for the year ahead. It takes some time to get the ball moving and if you haven’t started implementing new habits BEFORE January 1st, it’s going to take some time to get the ball rolling in the winter season of hibernation. 5. It takes 40 days to begin to shift the subconscious mind. 40 is a powerful spiritual number for evolution and birth. Babies are in their mother’s womb for 40 weeks. In Catholicism, the season of Lent is 40 days, and in Kundalini Yoga, we talk about the 40-90-120-1000 method. As you begin to do something everyday from 40 days, you’ll find yourself beginning to rewire the subconscious mind. To begin to implement the new habit, you gotta keep going. Doing it for 40 days allows you to begin to fire neurons in your brain of this new pattern you’re cultivating and creating. Your mindset is the greatest part of your success and consistency is key. 6. It’s important to always remember your sacred why and what it FEELS to actualize the New You you desire to embody. There can me a lot of pressure from the New Year New You movement. As you embark on the year ahead, go back to your sacred why. What does it feel like to embody the upgraded you? How do you see yourself serving hue-manity? Do your desires support the version of you who’s here to elevate the consciousness of the collective as you go forth and contribute to the anchoring of the Golden Era? Foster the habits of future you and take it one day at a time. Work on accomplishing at least 3 things a day. Break it up so that it’s manageable and you don’t burn yourself out during month. Remember, slow and steady wins the race. Make sure you’re taking time to fill up your cup. Give yourself time throughout your day to B R E A T H E. Commit to doing at least one thing a day that supports your health and wellbeing. Give yourself time to disconnect from technology and to reconnect with nature and your loved ones. The burnout, overworked days can be over if you decide they’re over. Make sure you have a solid support group along the way and cultivate a community of sisters/brothers who can support you and hold space when the going gets tough. The Lone Wolf days are over, my love. This Golden Era is about you cultivating community. We are here to implement change, but it first must begin with ourselves. The inner always creates the outer and each of us has a responsibility here to unleash our medicine with the world. How do you fill up your cup and honor your work-life balance? Share with me below!